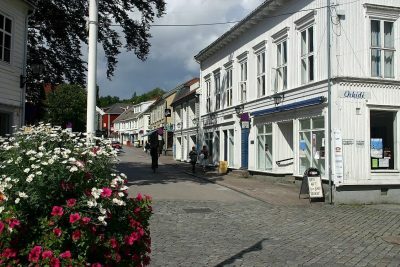 The town of Grimstad was established as a municipality on 1 January 1838. On 1 January 1878, part of the neighboring municipality of Fjære (population: 948) was transferred to Grimstad. Again, on 1 January 1960, another part of Fjære (pop: 344) was transferred to Grimstad. Finally, on 1 January 1971, the rural municipalities of Fjære (pop: 6,189) and Landvik (pop: 2,781) were merged into the town of Grimstad (pop: 2,794) to form a significantly larger municipality with a total population of 11,764 at the time of the merger. The city’s name was originally Grømstad, when Norway belonged to the Danish kingdom. The name was misunderstood and became Grimstad during the registration of Norwegian cities and small places. The site of the town was originally the port (Old Norse: stoð) of the old Grøm farm. The exact meaning of the name Grøm is uncertain, but it is derived from a river name Gró or Gróa which means “the growing one”. History: Grimstad lies within the boundaries of the ancient parish of Fjære. It is reportedly first mentioned as a harbor in the 16th century. Eight years after he was deposed, Christian II of Denmark–Norway (1513–1523) attempted to recover his kingdoms. A tempest scattered his fleet off the Norwegian coast, and on 24 October 1531, they took refuge at Grimstad. On 1 July 1532, he surrendered to his rival, King Frederick I of Denmark, in exchange for a promise of safe conduct. King Frederick failed to honor his promise and imprisoned Christian until he died. An inn is recorded at Grimstad as early as 1607. 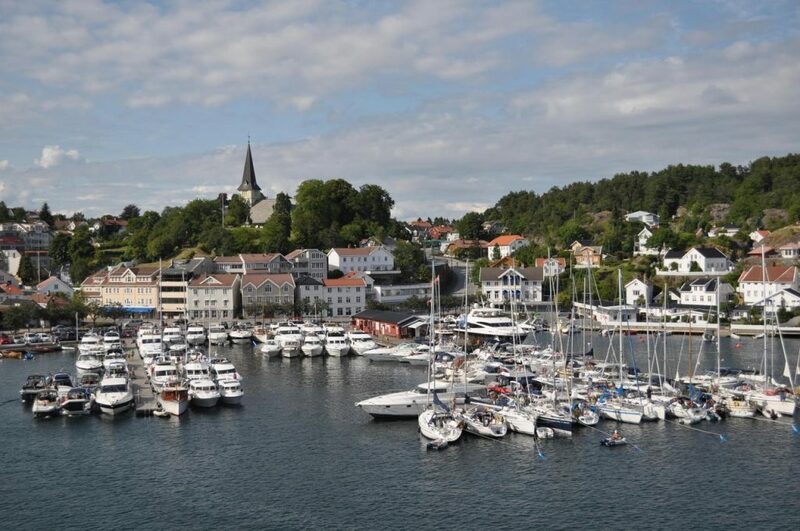 In 1622, Grimstad became a recognized harbor. By 1747, Grimstad was identified as a sailing community and a recognized haunt of smugglers. During the Napoleonic Wars, England blockaded Norway. In 1811, an English brig entered the harbor to capture blockade runners, but was vigorously repulsed and did not return. John Frederik Classen, who owned the Frolands Værk (an ironworks), obtained concessions to export and import through Grimstad and bypass Arendal with its customs dues. Grimstad was awarded market town status in 1816.